The “Zeeuwse knop” or Zeeland button has for centuries been an important part of the traditional costume of the inhabitants of the Zeeland islands in the south-west of The Netherlands. Outside of The Netherlands it is often referred to as the Dutch Button. As an item of jewellery, the button became a showpiece that symbolized the Zeeland pride and rich cultural history. The Zeeland button originated as a collar stud on the shirt collar of 18th century peasants, the so called ‘throat knots’ or ‘keelknoppen’. Over the years, the studs slowly changed shape. Around 1870 the Zeeland button got the shape we know today and each of the Zeeland islands had their own variation. From the end of the 19th century onward women started to wear the button as a gem, for example, as a hat pin or a brooch. It is also said that the shape is based on the flower with the Latin name Astranti: “Zeeland knot’. Currently the “Zeeuwse knop” is having a revival and you can see it popping up all over. Embrace Design uses the “Zeeuwse knop” in a subtle fashion: as an element of a bracelet, a ring, an earring or cufflink but also as a statement in a necklace or keychain. The idea to create Zeeland jewellery grew in 2011 – when Embrace Design, together with the Zeeland lifestyle chain Bomont, embraced the Zeeland jewellery line and tailored it to today’s style with care and love. Spring 2011 saw the launch of the first (ever) Zeeland jewellery line by Embrace Design. All items are created with special Zeeland care and attention, especially for you. 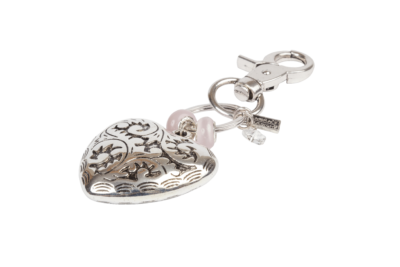 We want our customers to experience the Zeeland feel when they wear their Zeeland jewellery, it is a symbol of Zeeland. Each season the collection is adapted to the latest fashion trends.